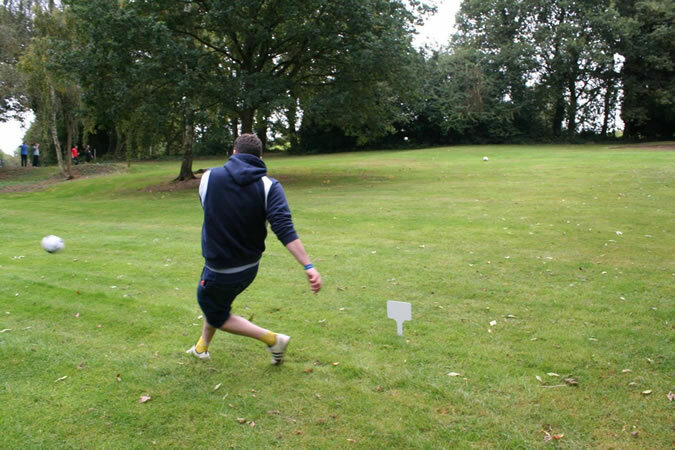 Nestled in this important centre of Hertfordshire, Rickmansworth Footgolf is played over a 752 yard course of Par 35. The Early Bird catches the worm here, with the course open daily from 7am. Footgolf is the trend-setting sport of the moment and is here to stay. Blending the best of football and golf, you need nothing more than a pair of trainers. Whatever the age or ability of the people you wish to play with, everyone will have fun and really can just ‘have a go’. Footballs are available to hire here, but if you have your own, then Size 5 works best for the custom-made holes. There is a clubhouse on site offering a bar with Sports TV and restaurant serving an interesting variety of dishes. Buggies are available to hire and there is ample parking on site as well as changing and shower facilities.